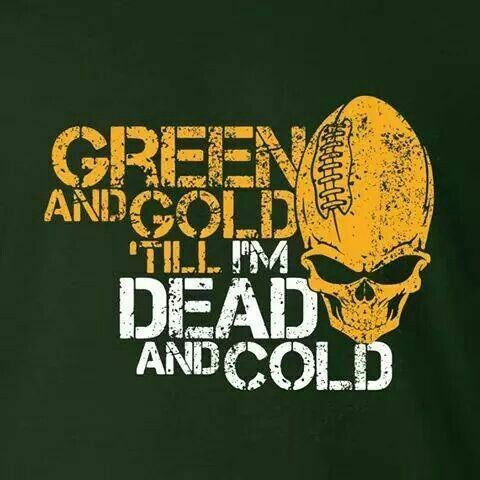 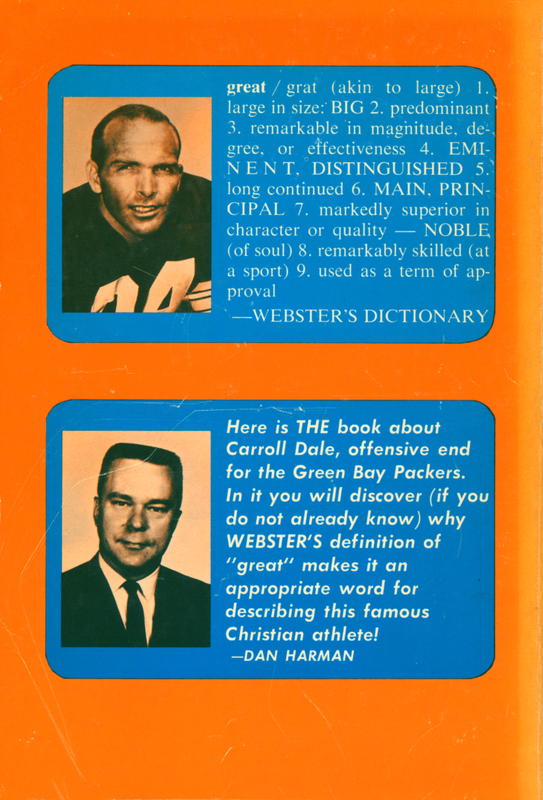 Today we have a much lesser known work in our presentation of books about the Green Bay Packers. 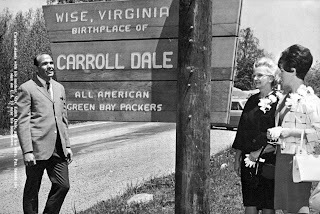 Carroll Dale Scores Again! 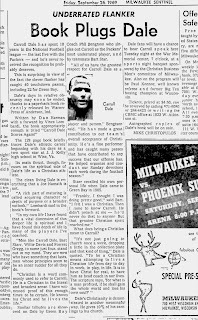 is about the life (up to that point) of the Packers’ All-Pro WR in the Lombardi Era, with an emphasis on his Christian faith. It even boasts a Forward written by Coach Lombardi himself. 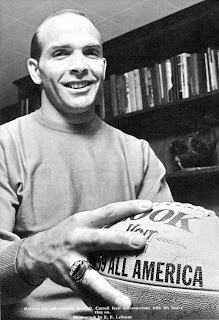 Carroll Dale with one of his award footballs. 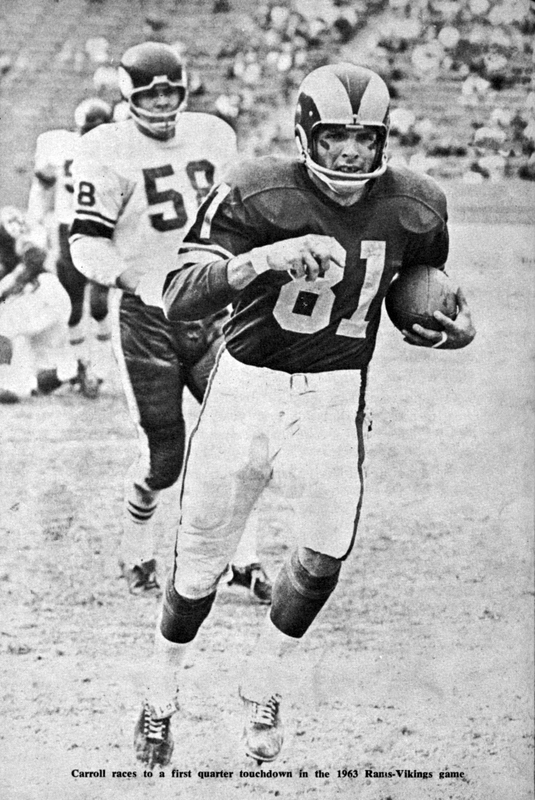 An unfamiliar sight — Dale with the Los Angeles Rams, where he played from 1960-64 before he was traded to Green Bay. 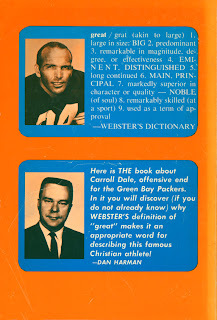 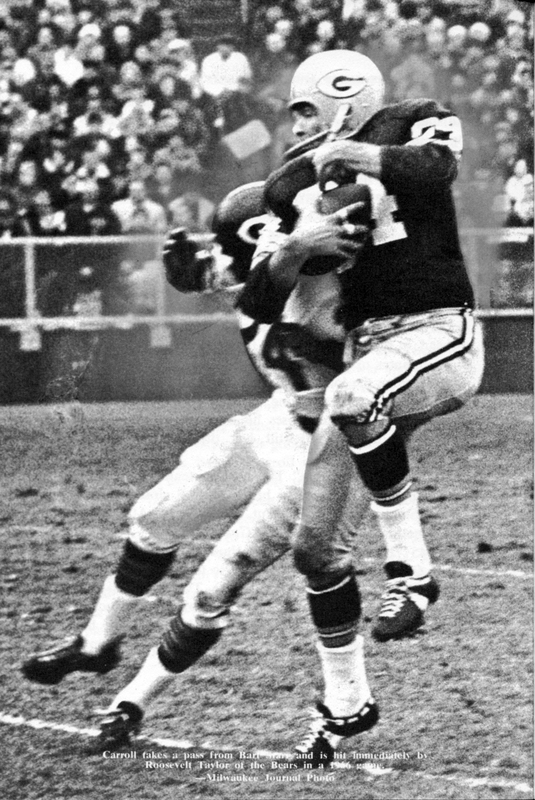 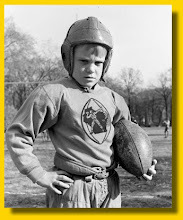 He played for the Packers from 1965-72, and finished his career with one season in Minnesota. 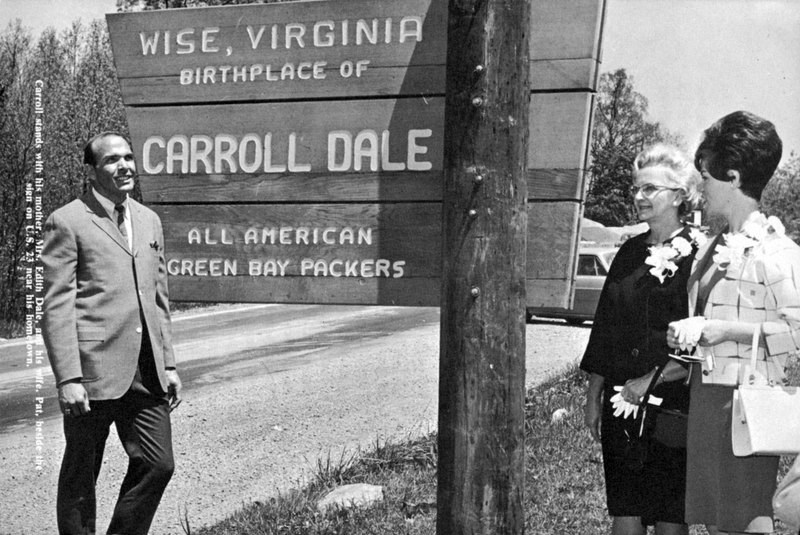 Dale was honored with this sign outside Wise, Virginia, his hometown, in the 1960s. 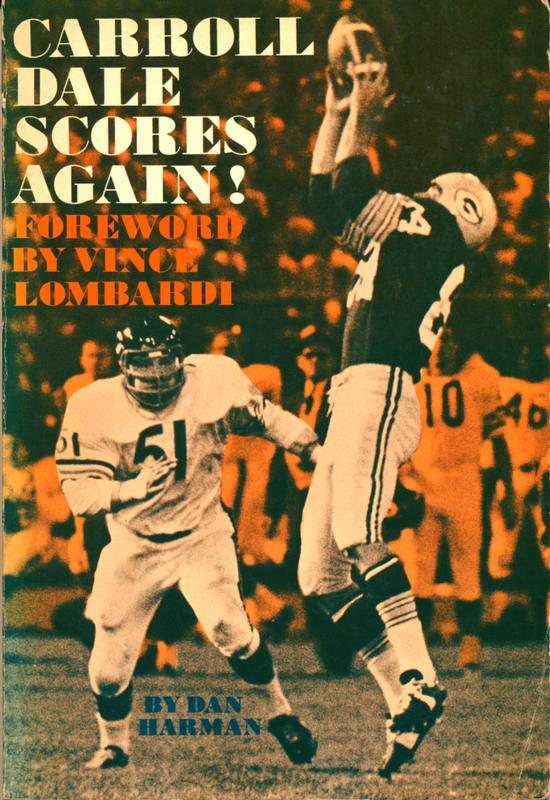 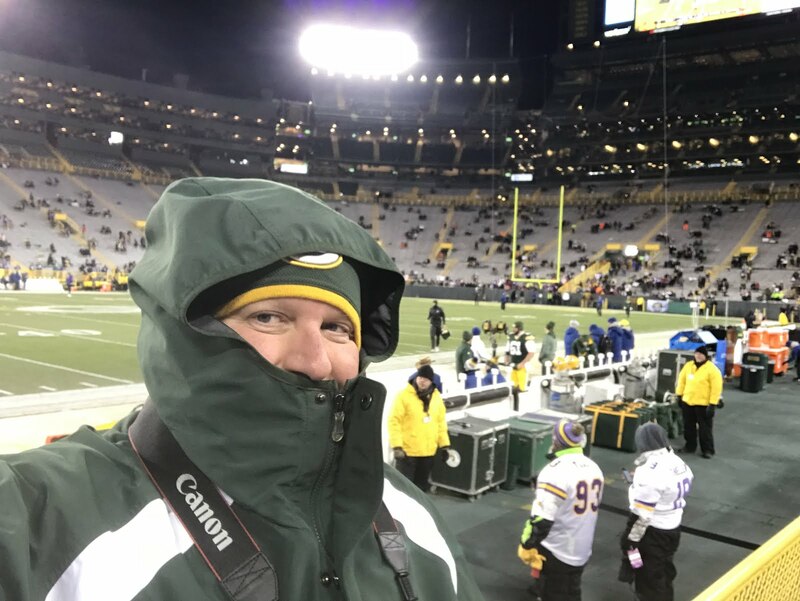 A more familiar sight to Packer fans — Dale makes a catch in the green and gold against the Bears. 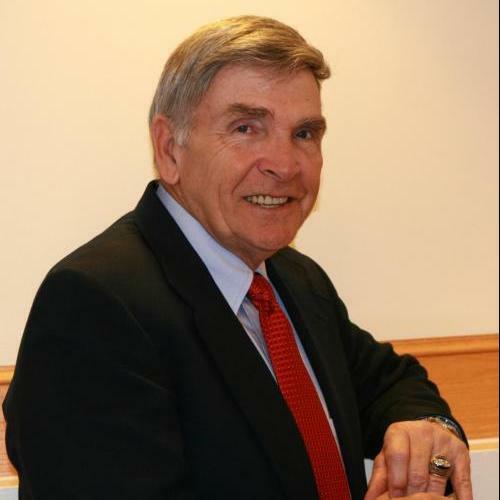 Carroll Dale today in his role as Assistant Vice Chancellor for Athletic Development at the University of Virginia-Wise. 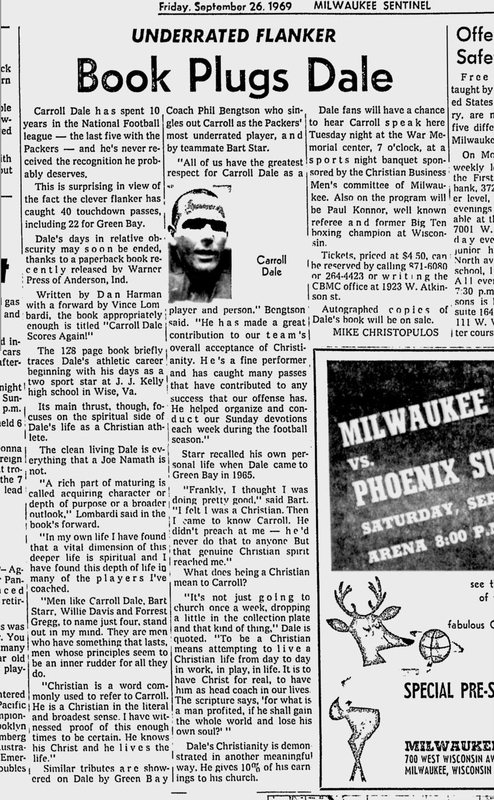 Lastly, here’s an article about his book that we found in the Milwaukee Sentinel in 1969.